There are many places to visit in Mugla, which is the most frequent place of summer months. Bodrum, Fethiye, Marmaris as well as the most well known borders, as well as extraordinary places are missing. You will love Koycegiz which is among these places especially Yuvarlak Creek! Let me explain why. If you want a quiet holiday in this city where people can do all kind of holiday, Köyceğiz is for you. Let’s take a closer look at Köyceğiz. 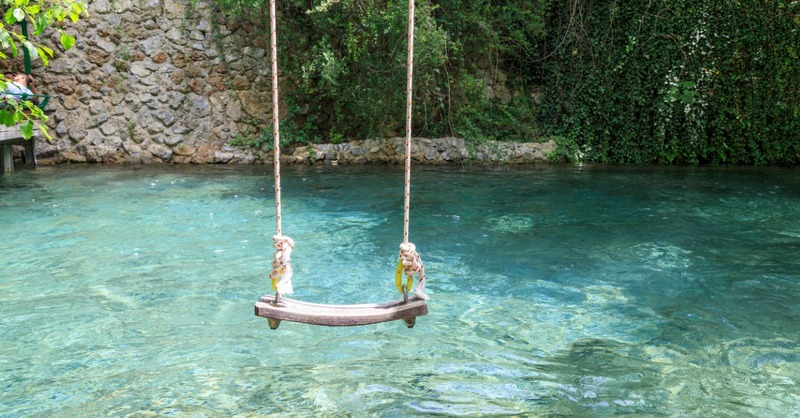 Koycegiz Muğla’s charming, small town, with its natural beauty, attracts visitors almost. With the wonderful nature of this beautiful lantern, you will not be satisfied to stay alone. Koycegiz is close to Marmaris and is only 55 kilometers away from Marmaris. If we will briefly mention Köyceğiz; it is a place where you will be able to spend the whole year’s tiredness, go to the hot springs and find healing, most important of which are natural beauties and you will live the most beautiful feelings you have never experienced before. For most holiday enthusiasts, Koycegiz, who is not loved because of not having sea and beach, is also able to compensate with the wonderful Köyceğiz Lake. You will never regret going to Koycegiz, which has many beautiful places such as the Yuvarlak Creek, Kaunos Ancient City, Sultaniye Spa, but you will want to go next year as well. You have a place with so much beauty to visit and see, and we can not decide where to start. But there is a wonder of nature known as the Yuvarlak Creek, which makes you admire yourself. We especially recommend you to go and see Yuvarlak Creek which is one of the most known and beautiful places of Köyceğiz. The Yuvarlak Creek will be like a paradise for those who escape from the noise of the city and seek peace. Imagine a place like this. You want a warm and cool place everywhere in the middle of the summer and you want to relax here mentally. Then, in a place on the edge of the water right away, you can have very nice meals and chat with your friends or your family. This is Yuvarlak Creek! The Yuvarlak Creek, which is nestled in the Topgözü Canyon (between Köyceğiz and Ortaca), is an ideal place to cool off in the summer months. 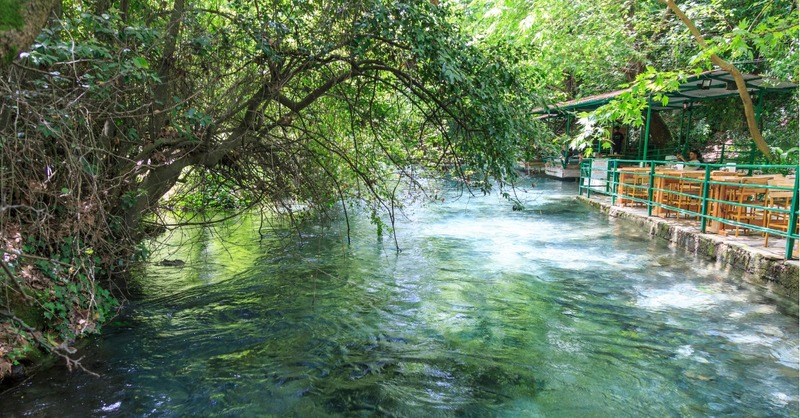 Yuvarlak Creek is a creek that passes through the icy waters of Mugla. Because it is very cold, the temperature is very low compared to other water sources in that region because it is fed from snow water. The average temperature in Mugla in the summer period varies between 20-30 degrees, However there is a cool weather in Köyceğiz. The greatest cause of the coolness of the air here is the Yuvarlak Creek. If you are overwhelmed by the burning heat of Muğla in the summer months, you should definitely visit here. You will be refreshed on your trip. You came with your car. Look around you. Well, we got it, you said cool. Then we seem to hear what you say you are going to do here. Let us tell you immediately what you need to do. You are in the midst of calmness and peace, what a wonderful creek and its surroundings are made of? After having eaten a nice meal, you can lie down on the cushions and sip your hot tea, listen to the unique nature, leave yourself in the cool waters of the creek, or take pictures of creek. The people living there have also developed an entertaining activity that reflects the entrants: People who set up wooden swings on creek are aiming to get visitors to this cold season. We recommend that you go to Yuvarlak Creek and go straight into yourselves. Finally, we have good news for the campers. If your equipment is intact, you can camp in the areas around the Yuvarlak Creek. As long as you take your mosquito repellent, your thermos, and your blanket to keep you warm, a holiday like you will be waiting for you. Bring the blankets in the summertime, and you can imagine how spacious and cold the Yuvarlak Creek is! You can enjoy sitting in the numerous small restaurants on the edge of the Yuvarlak Creek, where you can listen to the voice of nature. It is great to have a nice breakfast by watching all the shades of green in restaurants where you do not have to restrict yourself for a certain time for breakfast! At budget-friendly restaurants you can have a nice and proper breakfast buffet. For lunch you can try many main course options such as fish, lamb roasted on the tandour, fry. The most common type of food is seafood, which is preferred by all round food restaurants. Would not it be a good idea to have a nice table with drinks and hors-d’oeuvres after trekking around creek? When you are dirnking tea after your meal, the sounds of “well we came here” will echo in your ears! How to get to Yuvarlak Creek? There are many alternatives to reach the Yuvarlak Creek. For those who wish to reach by air, you can reach Dalaman Airport from cities such as Istanbul, Ankara, Izmir, Antalya. You will arrive from Dalaman Airport to Yuvarlak Creek only 20 minutes by car. If you follow the path of Koycegiz Ortaca location you will notice that the weather is already cool and you will see that you are approaching the Yuvarlak Creek quickly. If you think of your adventurous side, you can reach Yuvarlak Creek by hitchhiking. Come on, what are you planning to do? Get your plane ticket already. 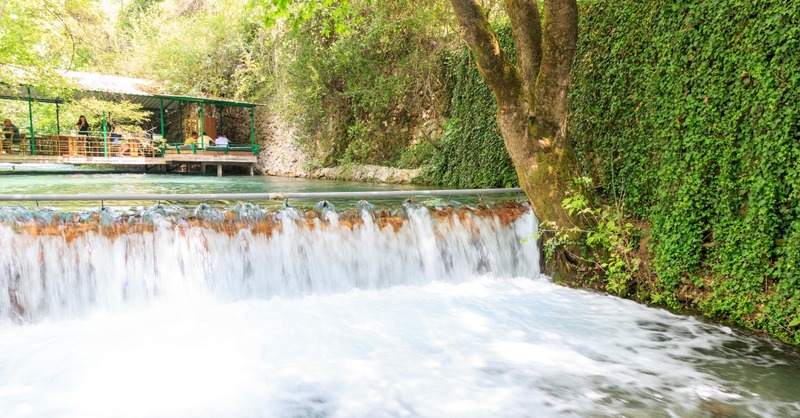 In order to get rid of the burning heat of Muğla’s, the Yuvarlak Creek will be an ideal place to have memories you can not forget here. Have not gone on holiday yet?